The Seventh China International Consumer Electronics Leader Innovation Awards, the Chinese Institute of Electronics, jointly organized by the China CCCME and SINOCES committee, professional authoritative assessment activities in a fair, just and open principles under performed. After years of innovative practice, the consumer electronics industry has become a leading annual event rate of heel. Leader Innovation Award wide coverage, targeted, high level of professionalism, representing the highest annual consumer electronics research and development of new standards and the latest technology trends, promoting industry innovation and development of critical power. March 2019, Leader Innovation Award will be held as scheduled, and look forward to your participation. "China International Consumer Electronics Leader Innovation Awards"
At present, the mobile Internet becomes the trends of global consumer electronics industry. The innovation has become an increasingly important force in global enterprises responding to market changes and sustainable development. 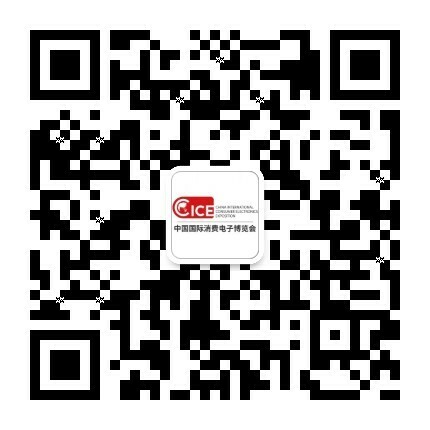 Therefore, with the joint guide of Ministry of Commerce, Ministry of Science and Technology, Ministry of Information Industry, CCCME China, Chinese electronics and SINOCES Organizing Committee will hold the Fifth "China International Consumer Electronics Leader Innovation Awards" which will build a platform for global innovation products and technology and achieve the innovation products marketing with the exhibition resources and influence. The Organizers will hold the "Leader Innovation Award" awards ceremony on MAY. 2018 and announce the finalists and winners, and award medals and related certificates to commend the enterprises for obtaining outstanding achievements in technological innovation. At the same time, the exhibition will devote to open an area to display new products. This activity is strongly supported by the relevant government and business associations. The organizers of this event will vigorously promote the event and award-winning products and enterprises. Then television, the video site, cooperative media, new media, which will be centrally report it, which can deeply highlight the characters of innovation products and help enterprises to promote the brand image and its innovative products. "Leader Innovation Award" provides the best showcase opportunity for the global innovative products and technologies. Meanwhile, it provides a trade, investment and financing platf orm for enterprises and buyers to promote the rapid market cycles and incubation of innovative products. "Leader Innovation Awards" will gather the world's most innovative products and market forces. Through the study of leading products and technology analysis, companies can more f ully understand the status of development of the industry, grasp the latest market needs and insight into future trends. Note: English "Leader" means leader, benchmarking, etc., "Leader Innovation Award" aims to award the most innovative in the field of consumer electronics products and spirit, show representative firm subversive creativity and fully play as the Chinese consumer Electronics industry leader role. "Leader Innovation Award" Review Team is composed by CCCME China, Chinese Institute of Electronics, China Industrial Design Association, the world's leading consumer electronics and related media industry association. The committee will do the open, fair and strict selection by reviewing the level of product design scientific, innovative degree of innovation, technology, market value realization, energy saving and environmental protection, human relations, and comprehensive professional audience vote and in accordance with international standards. 1.Voluntary application. The declaration products are not having to declare the name of the award, only to declare the products. Please fill in the product performance characteristics in the product characteristics. Please be focused on describing the product innovation and advantages in their design, technology, performance and other aspects, with supporting materials. 2.For the Professional Accreditation Awards, each enterprise is limited two products. 3.For the Public Accreditation Awards, each enterprise is limited one product. 1.The declaration products should be in line with the National standards, and pass through 3C certification or equivalent certification. Product performance reports are required during the declaration ( Inspection reports are required from certified laboratories by CNAS), 3C certification and copies of relevant certificates. 2.The declaration products should not be suspected infringement. 1.Exhibitors should be voluntary application. 2.The enterprises that apply the Professional Accreditation Awards, please fill out the application form (See Attachment), and provide test reports, 3C certificates and other evidence. Please mailed these materials to the SINOCES Organizing Committee Office before June 15, 2019. Professional accreditation awards declared products should be exhibit samples at the exhibition site in case of on-site audit. 3.The application materials required to mail the original documents and also provide an electronic version. 4. The enterprises that apply the Public Accreditation Awards, please mail the registration form to the specified mailbox (leader@sinoces.com) before June 15, 2019 and self-register in the specify website (wwww.sinoces.com) and upload works and related information. 5. Product certificates or test reports can be used to scan copy or electronic parts, but should be stamped.